The newest option for cord cutters is coming from AT&T. Cord cutting is becoming a big trend, as people try to save money by relying on other ways to programming. Thanks to mobile devices and apps like the one from AT&T, it is now even easier to save money and still catch popular shows without having to subscribe to a cable or satellite TV service. The new option from AT&T will go under the DirecTV brand, but AT&T will keep selling cable services under the U-Verse name and satellite services under the DirecTV name. The new app will be called DirecTV Now. The app will work on mobile devices and on compatible television sets. DirecTV Now will feel more like an actual satellite television offering than other streaming services. It will look very similar to the hundreds of channels that DirecTV offers customers through a dish. DirecTV Now is expected to come out in the fourth quarter of this year, but no pricing details are available yet. Here are some other options for cable-free TV viewing. Sling TV comes from DirecTV's smaller rival Dish Network, offering up to 65 live channels and up to 10, 000 hours of on-demand programming. The service starts at $20 a month for channels like ESPN, TNT, AMC, TBS and CNN. Sling TV works with many devices, including mobile phones, tablets, Smart TVs and streaming sticks. Amazon Prime Video is included for Amazon Prime members, who pay a $99 annual fee to get free two-day shipping and other benefits. Prime Video offers a catalog of thousands of videos available for on-demand viewing. Amazon says they have up to 40, 000 videos, but not all of them are free. If the video title lists the word "Prime" next to it, it can be streamed by Prime members for free. Prime Video works on a variety of devices, including Smart TVs and Amazon Fire TV devices. Hulu is available for $7.99 per month. Current TV series are uploaded almost immediately to the service, and full seasons and series can be watched all at once. 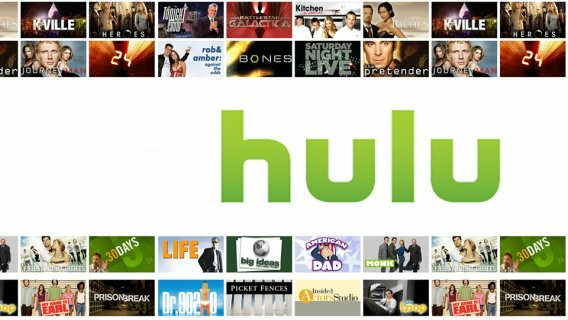 Hulu works on many devices, including Smart TVs and mobile phones. A new ad-free Hulu is available for $11.99 per month. Perhaps the most popular streaming service is Netflix, which offers original programming, thousands of movies and many TV series. The price starts at $7.99 per month, and the service can be watched on almost any device, including gaming systems. AT&T's DirecTV Now will also be joined by DirecTV Mobile, which will be more like Netflix or Hulu. This offering will be geared at on-demand programming and will only work on mobile devices. DirecTV Now will be one of the first offerings to act just like a real satellite TV, but it will be available anywhere. Innovative Americans 56" to 85" TV Mount with Cable DVR Satellite Box Indoor Outdoor TV Wall Mount Kit VESA 200 x 200mm to 600 x 800mm, Tilt, For DVR Cable Box or CPU measuring up to 25" x 18" x 3.25"